Kate Wilson, a first-time contributor to hidden europe, reports from the village in northern Spain where she lives. This is no ordinary day, for this is el día de la matanza - the day of a ritual pig slaughter. No fun for Tia the pig, but a rich insight into a local tradition. In the pre-dawn shadows, the quiet rustle of a man lighting a fire barely disrupts the stillness. Shuffling a pile of branches from the local Garnacha bush vines, 31-year-old Jesse Robinson kneels to the ground and strikes a match that briefly casts a warm glow across his face, illuminating his breath in the chill air. Behind him is a low wooden table and a tractor, both barely distinguishable in the dark. It is a moment that feels profound; a dell of thoughtful tranquillity before the day erupts into a kaleidoscope of activity. Today is el día de la matanza — the day of the matanza (from the Spanish word for ‘slaughter’ or ‘killing’). 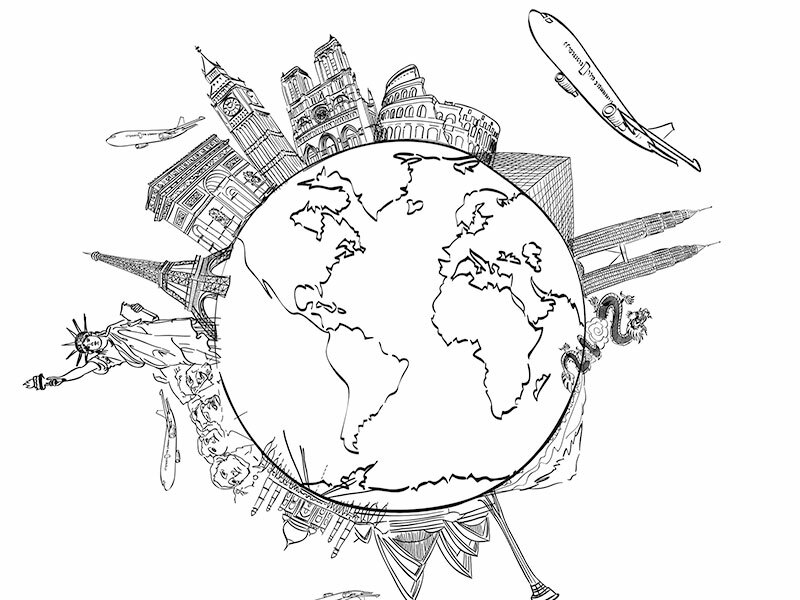 No other day in the calendar produces so heady a mix of sights, sounds, smells and sacrifice. 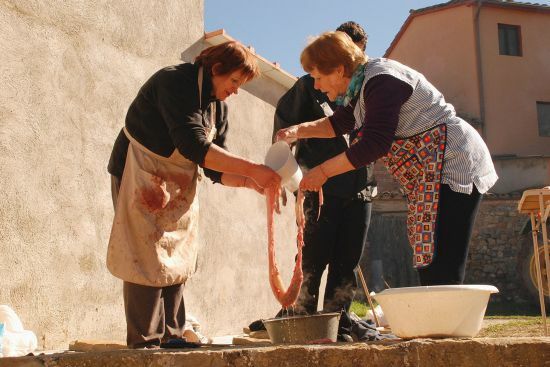 The victim is a pig, and the matanza is a traditional Spanish pig slaughter which is rooted in ideals of sustainability, community and survival. It is as good a reason as any to gather, work and celebrate. We are in Secastilla, a community of about a hundred people in the province of Huesca on the Spanish side of the Pyrenees. As custom has it, the three days to come will be spent processing every last part of the pig into sausages, pâtés, chops and all matter of savory comestibles. “We don’t exactly know when the matanza began, but it must coincide with the development of livestock and domesticated animals in prehistoric times,” says Jose Miguel Pesqué Lecina, Spanish historian and archeologist who serves as the Head of Culture for the government of Huesca. It’s a mark of how things have changed that ritual animal slaughters in Secastilla, in common with similar events in other parts of Europe, are no longer confined to the autumn. The advent of refrigeration has freed rural communities from the calendrical constraints of yesteryear. No longer is the killing of the fatted calf or swine reserved for Samhain (on 31 October) or the feast of St. Martin (on 11 November). This is just an excerpt. 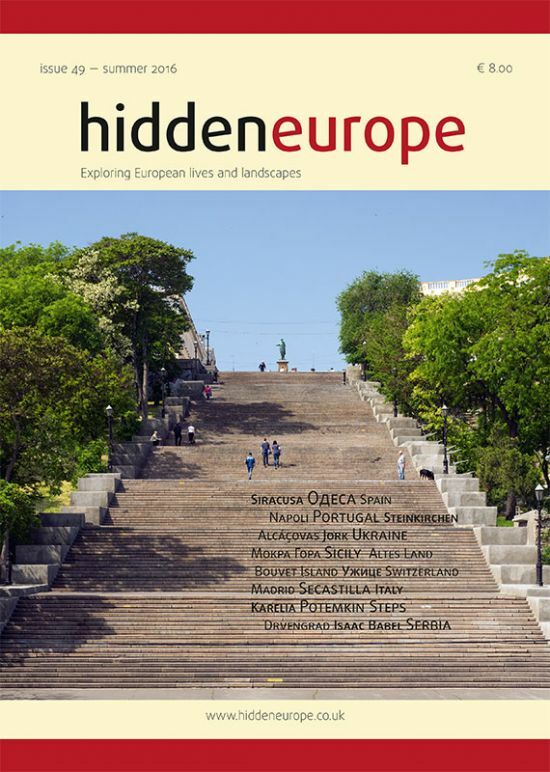 The full text of this article is not yet available to members with online access to hidden europe. Of course you can also read the full article in the print edition of hidden europe 49. Kate Wilson lives in the Spanish village of Secastilla, where she is busily peeking into larders and watching the womenfolk of the village at work in their kitchens. Read Kate’s articles on local suppers (sheep’s head, anyone? ), truffles, calçotada and other culinary delights at www.afoodfile.com. This article was published in hidden europe 49.